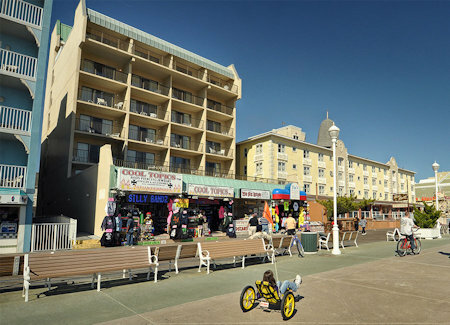 Boardwalk One in Ocean City, Maryland! - Buy a 7 Night Stay in a Studio Suite! 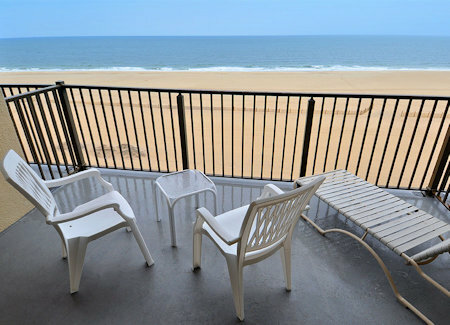 Enjoy 7 Night Stay in a Studio Suite at The Boardwalk One in Ocean City, Maryland! Fly a kite, beach comb, sun, swim and fish along the Atlantic Coast during your vacation at Boardwalk One. This beach front resort, with its oceanfront and poolside units located on the fabulous Boardwalk for which Ocean City is known, promises fun and entertainment. 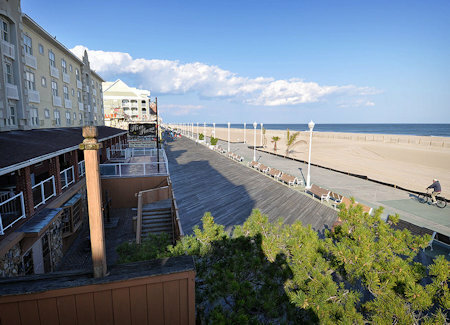 The resort is located on the widest beach in Ocean City. On-site, you can swim in the outdoor pool Memorial Day through Labor Day. Close by, you can enjoy tennis, mini golf, bicycling, and fishing. Add to your enjoyment with shopping and a visit to the arcades abd galleries. 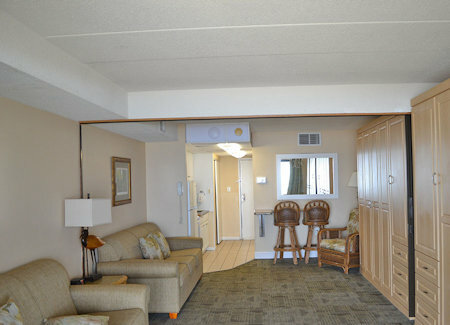 Boardwalk One is conveniently located directly on the Ocean City Boardwalk. The resort has an outdoor swimming pool, beachfront locations and on-site laundry facilities. 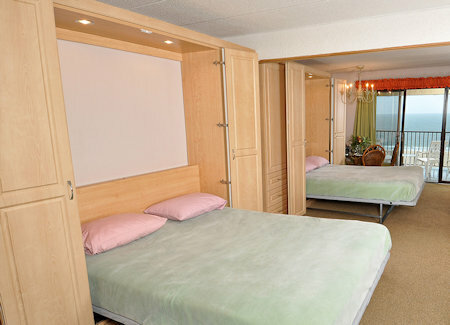 All rooms have: Kitchenettes, Wi-Fi Access, Two Queen Murphy Beds, Cable TV, and Private Balconies. Your Studio Suite will sleep up to 4 guests and comes with a full kitchen.